This screenshot is made up or includes bonuses. 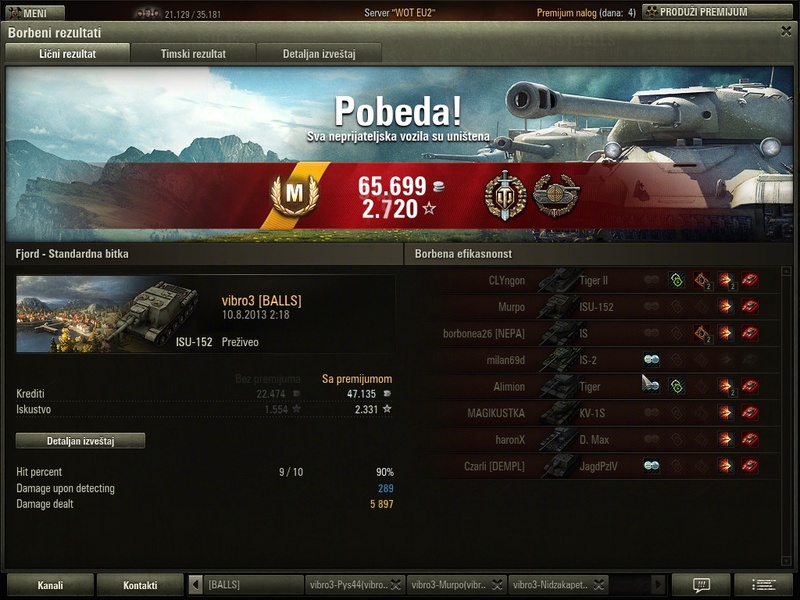 You are NOT getting 2720 XP in a tier 8 game with that amount of damage and spotting. Also max exp on this tank seems to be 2331 on his account. Must be doubled Exp. You'll never get this much by destroying Tier 6+7 with Tier 8. Be patient when taking screenshots. "2.720" was just about to change to the actual number (2.331) when you pressed printscreen. It is not double, we play together and I know that is not double, it was on 2h on AM!! !